So you just played in a Shadows over Innistrad Prerelease or Release event and have caught the Magic bug! You want to play more of this awesome new format, but your local game store doesn't offer Sealed Deck. Instead, they play Booster Draft. Booster Draft seems like a scary format to get into. In Sealed, all of your cards are right in front of you, but in Booster Draft, you actually have to pick cards one at a time! Often there's pressure to pick these cards in a timely manner. It's a scary task for those who have never done it before. Fear not, for today I am going to teach you how to draft like the pros—specifically how to send and read signals in a draft. If you need more background on how to draft, I suggest you check out Reid Duke's Level One series or Marshall Sutcliffe's How to Booster Draft using Shadows over Innistrad from last week. Now, when I say signals, I don't mean sending secret messages to your draft partner in an attempt to communicate with them. What I mean by signals is information sent to the player you are passing to by picking or not picking certain cards from packs. Signaling is very important when drafting a deck. It's common for a player to pick a bomb rare like Olivia, Mobilized for War as their first pick, and then not get passed many black and red cards. In the meantime, that player may have been passed incredibly strong white cards like Bound by Moonsilver and Angelic Purge. If that player didn't pick up on the white signal that their neighbor was sending and instead took mediocre black and red cards to support their first-pick Olivia, they will end up with a weak deck. Pro players use signaling very frequently. At high-level events like Pro Tours, it's very common for players to abandon at least one of their first three picks after reading their neighbor's signals. In a Booster Draft event, you have seven different opponents who you are competing against, but during the actual draft, the players directly to your right and left are your friends. It's not a good idea to fight with the players who have the greatest influence on what cards you see in a draft, so reading their signals is crucial for success. So how do you actually read these signals? The first step is to be knowledgeable in the format you are drafting. 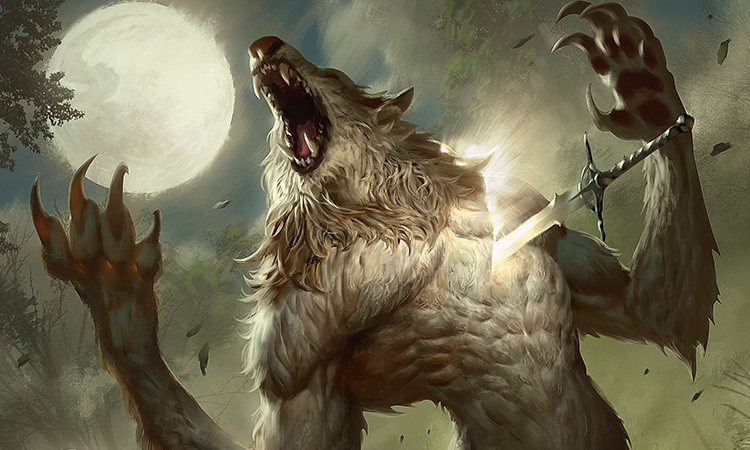 Know the themes, the top commons and uncommons, and the types of decks that you can play in the Draft format. If you don't know what the best cards are, you'll never know when your neighbor is passing you something that you should take. Step two is to take strong cards out of each pack. This may seem obvious, and it is. However, once you are taking the best cards out of each pack, signaling will often come naturally. Let's say you are passed a pack and the strongest card is a Bound by Moonsilver. You take it and then are passed a pack where the best card is Silverstrike. The next pack you select a Vessel of Ephemera as the strongest card in the pack. While you think you are simply selecting what you think is the best card out of each pack, what you are actually doing is reading a signal from your neighbor that they are probably not drafting white. By selecting white cards from the packs, you are passing packs that lack strong white cards. Doing this is telling the player to your left that white isn't open and that player should stay away from white. Sometimes this simple way of signaling is not so easy. You may be passed a pack with four or five strong cards in multiple colors, and it isn't clear what the best card is. Here are some things to look for in drafts to help figure out what direction you should be going. If you are passed a pack and you aren't sure what the best pick is, the first thing to look for is what could be missing. For example, let's say you are passed a pack with a Pack Guardian, one of green's strongest uncommons. It's pack 1, pick 3, and you realize there is a common and an uncommon missing from the pack. In this example, it's very unlikely that the players passing to you took green cards. There really aren't many green commons or uncommons that are better than Pack Guardian, so you can assume that your neighbors took a strong removal spell at common, maybe Fiery Temper. It's hard to tell what the uncommon was because there are many uncommons that are on par with Pack Guardian, but really none that are also green. In this scenario, I would assume that green is not being drafted by the two players to the right of me, and I'd take the Pack Guardian. Same scenario, but this time you are passed the Pack Guardian with the rare and an uncommon missing. Additionally, there is a Bound by Moonsilver, Fiery Temper, and Murderous Compulsion in the pack. It's much harder to tell if green is open in this case. With the rare gone, it's possible that your neighbor took a stronger green card like Ulvenwald Hydra or The Gitrog Monster. It's incorrect to assume that green is open, especially with all of the strong removal spells in other colors remaining in the pack. You can still take the Pack Guardian, but if you are not passed strong green cards in the next few packs and realize that another color is open, don't be afraid to abandon it. Double-faced cards add an interesting dynamic to drafting. You can see when players are taking them and can use this information to your advantage. Let's say that the player to your right opens Arlinn Kord and drafts her. You open Pack Guardian and Murderous Compulsion. Both of these cards are great first picks, and the Pack Guardian is a little stronger, but it's in your best interest to take the black card over the green card because you know that your neighbor will be taking green cards before you and will probably not draft black. Many Draft formats have cards that we refer to as "signposts," or cards that pull you in a certain direction. Basically they are cards that say, "If you have me, you should draft X." In Shadows over Innistrad, there are many cards that work better if you have the right cards to support them. If you get passed one of these signposts, you will know that it's a good idea to draft this strategy. One example of a signpost in Shadows over Innistrad and my favorite card to draft in the set is Rise from the Tides. This card asks you to play a deck that plays many instants and sorceries and also has ways to mill yourself. You wouldn't want to play Rise from the Tides in a Zombie tribal deck or a white-blue skies deck. For example, let's say your neighbor first picks a Nephalia Moondrakes and then passes you Rise from the Tides. Your neighbor decides to draft a white-blue skies deck. In this example, you and your neighbor are both drafting blue but are drafting very different decks that don't want the same cards. Your neighbor is interested in cards like Stitched Mangler and Rattlechains to help with their tempo game, while you are looking for Reckless Scholar and Nagging Thoughts in order to get lots of instants and sorceries into your graveyard. While you're drafting the same color, you are probably not going to be fighting over the same cards. Getting passed a Rise from the Tides gives you a signal that it's safe to move into the blue-red spells deck. Your neighbor is not always going to take the strongest card out of every pack. You will never know if the player passing to you opened a bomb rare and is forcing it or has a strong preference for a certain color. While these guidelines are great to follow, you can't rely on players always reading everyone else's signals. In general, you want to take what you think is the strongest card out of each pack while also noting what colors are missing and switching things up when it seems appropriate. With experience, reading signals will come naturally and success in Draft will follow! I hope you found this helpful. Feel free to let me know how your first Shadows over Innistrad drafts are going on Twitter @MelissaDeTora.